Join the Wilderness Old Scholars’ Association page on Facebook. This page is set up for Old Scholars to communicate, network and hear about upcoming alumnae events. Once you are a member you can then share with other Old Scholars in your Facebook network. Since 1884, Wilderness School has prepared girls to be adventurous, courageous, responsible and respectful learners and leaders. The legacy of our Founders, the Misses Brown, continues today and is a rich and integral part of our School culture, yet much of the world has changed and continues to change. It is important whilst cherishing and honouring our past, we look to the future. We know that it is a privilege and a responsibility to educate the girls in our care. We believe that each girl is entitled to an education that equips her with the knowledge, skills and values needed to embrace the opportunities and challenges she will encounter in her personal and professional life. We are passionate and resolute about providing a rich and challenging learning environment that fulfils our Mission; to enable each girl to be the best she can be throughout her life. An exceptional education for each girl does not happen by accident. Nor do outstanding pupil achievements. To meet the needs of our girls today, and those of the future, means we must consider their academic education as well as cultivating their wellbeing, compassion, civic-mindedness as well as a life-long love of learning. There is much in this Strategic Plan that is a continuation of the rich and holistic education currently provided at Wilderness, but it also heralds the introduction of innovative education practices as we fulfil our goal of providing a world-class education for girls. With this in mind, I am delighted to share with you our Strategic Plan for 2016 -2018, available on our website at www.wilderness. com.au/about/strategic-plan. Guided by our School Values, our Strategic Priorities will lead our work with our girls into the future. The Strategic Plan is the culmination of a detailed and consultative process that has involved experts in their field and the many voices within our School community. I am very excited to introduce our Strategic Plan to the wider community and look forward to working together to achieve our aspirational goals for all Wilderness girls. There is much to be excited about in this plan as it defines our focus and will steer our future decision-making. While being underpinned by the guiding words of our Founders, it addresses how we can look forward to ensure we continue to engage with the challenges and opportunities available for our students for now and into their future lives beyond the School gates. MERIT CEREMONY The Merit Ceremony which recognises students who achieved perfect scores in the previous yearâ&#x20AC;&#x2122;s SACE examinations, was held at Government House on Tuesday 9 February. It is a wonderful opportunity for Wilderness students with perfect scores to gather and celebrate their successes, together with their parents and our Head of Senior School, Mr Ben Manifold. The achievements of our students is something the School staff and community are very proud of; to see the hard work of these girls is extremely pleasing. Our students achieved superb results in 2015. Of the 83 girls who applied for the ATAR this year, 70% of the cohort were placed in the top 10%, with 57% in the top 5% and 18% in the top 1% of Year 12 students. The average ATAR for all girls was 91 which was outstanding and reflects the dedication and effort put in by the girls and their teachers. The 2015 cohort gained 64 merits in 22 subjects, a result of which they and their teachers can be unquestionably proud. The position of Dux of Wilderness School was shared by three outstanding students; Catrin Bannister, Tatyana Hubczenko and Lauren Vu who each achieved an ATAR of 99.90. We were delighted that Arabella Hart was awarded the Governor of South Australia SACE Award that recognises the best overall performance by an Aboriginal or Torres Strait Islander student in 2015. Tatyana Hubczenko was also awarded a Governor of South Australia Commendation which recognises studentsâ&#x20AC;&#x2122; exceptional achievements whilst undertaking the SACE, an outstanding accomplishment. Four Merit certificates were received by Catrin Bannister and Peta Musgrove. Hema Berggren, Hannah Bransbury, Tatyana Hubczenko, Helena Karapetis, Lauren Vu received three Merit Certificates. My love for science, particularly chemistry, developed in Year 10. Science has continued to intrigue me, however, with a wealth of areas available for study, I struggled to find a specific area of interest. Hence, I hoped to find a course that would allow me to pinpoint the area of science I am most passionate about. Beginning Year 12 with this in mind, I applied to be a part of the Early Entry Program with Adelaide University (Faculty of Science) and was lucky enough to be accepted. This involved not only guaranteed entry into a range of science courses if an ATAR of 80+ was achieved, but sessions highlighting university life as a science student and areas of science available for study. This lead me to the Bachelor of Science (Advanced), catering for my interest in numerous areas of science. I hope that in studying this three year course, I will be able to pursue further education and a career in an area within science that I love. Wildy provided incredible opportunities and, combined with the amazing effort and support of the teaching and non-teaching staff, allowed for me to reach my full potential. SACE has prepared me for tertiary study, particularly through the Research Project, where I practised the important skills of researching, recognising credible sources and referencing such sources. Wildy created an environment where learning and hard work was admirable, an invaluable attribute that contributed to the overall success of our cohort. What are you hoping to achieve? As an SRC we derived a vision for 2016, to create a school environment full of positive action and gratitude. We wish to spread this throughout the School and leave the girls with lasting values in spreading positivity and being grateful in all areas of life. What does leadership mean to you? Leadership to me is the ability to empower the girls at our school. I believe it means to be a role model and a figure that can be approached by all, with the ability to listen to others and represent the voices that may not always be heard, allowing each girl to thrive and develop. What legacy would you like to leave at Wilderness? To have inspired the girls to strive for their goals, reiterate the importance of never not doing something for the fear of being judged, and lastly, to be remembered as a role model who was respectful to all and created fun-filled activities for all. What are three things we donâ&#x20AC;&#x2122;t know about you? - Favourite artist is Jack Garratt. - Favourite TV show is Suits. - Dream destination is Switzerland. Who inspires you and why? My parents. They are incredibly humble, giving, caring, passionate and arenâ&#x20AC;&#x2122;t afraid to have a laugh, radiating happiness in everything they do. Together they have always taught me to strive to be my very best, knowing from when I was younger to this day that I could be anything I want to be when I grow up, because I have the most supportive and inspiring parents in the world. What are you hoping to achieve? As an SRC our vision includes being a positive and grateful year and encouraging the same upon the rest of the School. We would like to encourage the girls at Wilderness to be grateful for what they have and to focus on the positive things rather than the negative. What are you hoping to achieve? I’m hoping that we create a more positive school environment, filled with gratitude and appreciation for all the opportunities we have open to us. What does leadership mean to you? To me leadership means the opportunity to work with my peers to create a vision. It means being a good role model, leading by example, being approachable and having inclusive ideas. What legacy would you like to leave at Wilderness? I would like to leave the legacy of being part of an inspiring leadership group who were able to achieve the goals they set. I would also like to be remembered as someone who is kind to others and fun to be around. As a year level, I would like to leave the legacy of encouraging all girls to interact with each other more - regardless of their year level. What are three things we don’t know about you? - I started at Wildy in Year 4 and my mum and grandma also went to Wildy. - I have a puppy called Louie. - I want to take a GAP year and travel, then attend university interstate. Who inspires you and why? I am inspired by Malala Yousafzai because she has had an extremely difficult upbringing and many people would be discouraged if they went through what she has been through. But she didn’t give up and now inspires many girls and people around the world to fight for what they believe in and she is making advances in girls’ education. What does leadership mean to you? Leadership, to me, means having a vision, and positively encouraging others to engage in this vision with you, whilst inspiring them to develop their own. What legacy would you like to leave at Wilderness? Alongside the SRC and my cohort, I’d like to encourage more holistic learning, curiosity and exploration of personal passions within the Wilderness community, to ultimately create a more positive and appreciative environment. What are three things we don’t know about you? - Thai cuisine is my favourite. - I can recite Monsters Inc. - I love playing instruments. Who inspires you and why? Angelina Jolie – her continuous humanitarian work is inspiring and motivating. It’s heartening to see someone with such a high profile using their fame for the better, and lobbying to improve the quality of life for people who aren’t fortunate enough to have what we have. What are you looking forward to in your role this year? I am looking forward to having the opportunity to collaborate with girls across all year levels so that we can make a difference to life here at Wildy. What are you looking forward to in your role this year? I am looking forward to making a difference in the Junior School, overcoming my fear of public speaking and being able to help younger students when they need it. What are you looking forward to in your role this year? I am looking forward to be able to talk in assembly and having the ability to represent the Wilderness Junior School as the Secretary. It means a lot and I am grateful to have this role. What are some of the qualities that a good leader should have? Here at Wildy we have amazing school values and I believe that a good leader should aim to lead with them. These include: having respectful relationships, being a true and courageous self, being adventurous learners and being responsible citizens. I think it is important to achieve this in a fun and enthusiastic way. What are some qualities that a good leader should have? A good leader should be responsible, organised, kind and confident. Who inspires you and why? I am surrounded by many incredible people who inspire me in all sorts of ways. I think everyone has something special to offer and it’s fun to find the good in each and every person. What are three things we don’t know about you? This is tricky. Not many people know this, but I love to cook banquet feasts with my dad for our extended family. I have also lived in many different places and there is no better place to live than Adelaide! Finally, I have a very big weakness for small fluffy dogs and my cavoodle, ‘Fudge’ is very spoilt! Who inspires you and why? My sister inspires me because she is smart, sporty and she is in Year 12 on the SRC, I admire her. What are three things we don’t know about you? - I love animals especially lions. - I play waterpolo, hockey, netball and tennis. - I love to ski. What are some qualities that a good leader should have? Some qualities a good leader should have is definitely organisation as you need to be prepared a lot. Also to be confident and courageous especially when you are speaking in front of the assembly. Who inspires you and why? Someone who inspires me would be my teachers because they help me when I get stuck and they always are so kind and help me when I’m in doubt. They also encourage me to do challenges as I have taken heaps of risks in the past Term. What are three things we don’t know about you? - I have a passion for swimming. - I like doing art and being creative. - I have no pets. Mild weather, delicious canapés and beautiful wine were enjoyed by almost 150 invited guests who attended the Official Opening of the Browns’ House redevelopment, Newman Theatre and the four new flexible learning spaces. These additions to the School have all been meticulously designed to enrich the learning experience of our girls with innovative and flexible teaching environments, which encourage collaboration, creativity and student-driven learning. These wonderful additions to the School pleasingly now also provides wonderful lawn areas for the girls. It was wonderful for all in attendance to be a part of this momentous occasion as Browns’ House, Newman Theatre and the Flexible Learning Space Classrooms were officially opened by old scholars, philanthropic members of our community and current student representatives. The official opening ceremonies of these spaces represented the culmination of a committed and visionary group of individuals to add value to the education experience of Wilderness students and their families. Christina and Angelica Alexander joined by Michael, Rebecca and Audrey Petrucco were invited to cut the ribbon on the Flexible Learning Space Classrooms, which were made possible through their vision and significant donations. Guests were then thrilled to observe the official opening of the Newman Theatre by our leading philanthropic donors to the redevelopment, Pooja and Matthew Newman. The ribbon was cut by the Newmans together with their daughters Rose, Iris and Hazel. The tradition of family held dear by Wilderness was on display as an impressive number of generations of old scholars along with a current student officially opened Browns’ House. Old scholar, donor and one of three generations of Wilderness women, Mrs Susan Morgan (accompanied by her husband Peter, a Wilderness Old Boy) was joined by old scholar Edwina Hicks whose daughter is now fourth generation at Wilderness School, and current student representative, Audrey Petrucco officially opened Browns’ House. QS World University Rankings in 2015/2016 (http://www.topuniversities.com/universities/ university-melbourne#wur). to reach just beyond their current state (Vygotsky, 1978). They are, therefore, more willing to take the next step in their learning. My presentation was entitled, ‘Learning without limits: how a narrative of growth is driving professional learning that makes a difference to the quality of teacher practice’. It explored Griffin’s developmental approach to learning which aims to enable all students to flourish. High expectations for all students involves the expectation that all students will develop by the maximum of which they are capable within a particular time. The model recognises that not all students will grow and progress at the same rate. The size of the leap is not important (Griffin, 2014), so long as a student is growing. It recognises the developmental level at which students are actually operating, in other words, their strengths, and targets, instruction to focus on the skills the student needs to develop in order to move to the next level. It is not just about helping those students who are struggling, but all students. Teachers at Wilderness have been developing their knowledge and understanding of this approach. Through a close working relationship with Michael Francis from the Assessment Research Centre our teachers have been supported and encouraged to collaborate with their peers to develop progressions and rubrics which explicitly articulate what it is that students typically do, say, make and write as they develop their skills and capacities and progress in respective subject or learning areas. During 2016 teachers from ELC to Year 12 will begin to implement this approach. We are, moreover, the first school in Australia to have embarked on such an ambitious schoolwide program, despite the existing research attesting to the positive impact of the model. I am particularly grateful to the support from the Catherine Ye Teacher Fellowship for the opportunity to participate in this amazing gathering of educators. Heather De Blasio Director of Learning and Teaching Excellence BA (Hons), M Ed (Management), current doctoral candidate Reference List: Dweck, C. S. (2006). Mindset. The new psychology of success. New York, NY: Random House Publishing Group. Griffin, P. (ed). (2014). Assessment For Teaching. New York, NY: Cambridge University Press. Ritchhart, R. (2015). Creating Cultures of Thinking. San Francisco, CA: Jossey-Bass. Vygotsky, L. S. (1978). Mind in Society: The development of higher psychological processes, eds M Cole, V Steiner, S Scribner, & E Souberman Cambridge, MA: Harvard University Press. ‘There were many events Wilderness girls had the opportunity to participate in during the week, enriching our understanding of the International Women’s Day and the need for the Pledge for Parity.’ International Women’s Day (IWD) 2016 is an important and valued event on the School calendar as it strengthens our core values and mission to enable each girl to be the best she can be. The theme for 2016 Pledge for Parity was explored as we were, and continue to be encouraged to not only celebrate the diverse accomplishments achieved by women but to also keep in mind that “progress has slowed in many places across the world, so urgent action is needed to accelerate gender parity”. There were many events Wilderness girls had the opportunity to participate in during the week, enriching our understanding of the International Women’s Day and the need for the Pledge for Parity. Events hosted provided the opportunity to actively contribute and provide assistance to women in Third World countries. The members of the SRC attended the UN Women IWD Breakfast at the Adelaide Convention Centre. Hosted by Senator the Hon Penny Wong, this proved to be the largest breakfast for IWD held in Adelaide to date and was a wonderful and enlightening experience for those of us who were fortunate enough to attend. Since 2008, Wilderness School and the Old Scholars’ Association have worked together to strengthen the important message and celebration of International Women’s Day. This year the Year 9 girls assembled 400 birthing kits with the Old Scholars’ Committee. These are distributed to developing countries such as Afghanistan and Ethiopia with the aim of significantly improving the mortality rate during pregnancy and childbirth. The girls were grateful to be joined by the Chair of the Birthing Kit Foundation, Lena Grant who shared stories about the incredible impact these kits are having in developing countries and the importance of cleanliness and hygiene while preparing the kits. Lena also explained that many of the kits are being utilised by girls that are just 14 or 15 years of age. In addition to producing the kits, the girls organised a fundraiser to contribute towards the purchase of the items that form each kit. This year, they held a Krispy Kreme donut stall; the first run of 300 donuts sold out in five minutes! So successful were the donuts across the entire School that additional donuts were provided to sell later in the day. 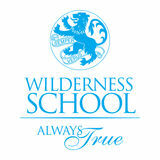 We are delighted to introduce to Wilderness School, Liz Meaker, who commenced as Head of Junior School this year. It is always lovely to meet new members of our staff, and learn what inspired them to become teachers. Liz is a dedicated and experienced educator who is a wonderful role-model for our staff and students. Always warm and approachable, Liz recently participated in a Q&A session so we, the School community, can become better acquainted with what is important to her and what Liz envisions for the Wilderness Junior School. What led or inspired you to a leadership role in education? What is your vision for the Wilderness Junior School? I have always wanted to be a teacher, since having some truly inspirational teachers in my own primary schooling years. As my early teaching career developed, I developed specific passions, namely in the areas of Special Education and Curriculum Leadership. My enthusiasm and passion led me to actively take on leadership roles within these areas which strengthened my interest in, and determination to change outcomes for children through the work I was undertaking. The values of our School community truly speak to the heart of who I am as an educator, and in a sense, despite my short time at Wilderness School, I already feel deeply connected and at home with the community. Wilderness has a long tradition of providing outstanding educational opportunities for girls. There seemed to be a natural progression from these roles to more significant leadership opportunities and I spent 18 months as Acting Head of Middle School before winning the role of Head of Primary in my previous school. I thoroughly enjoyed my work in this role, particularly valuing the wonderful relationships I was able to build with families within the school community. partnership for our girls, celebrating success and supporting areas for growth. I am focussed on ensuring that all teaching and learning undertaken in the Junior School is based in evidential, contemporary educational theory and that there is clear and cohesive transition for our girls between the Junior, Middle and Senior Schools. Importantly, my sincere wish is that our Junior School is a place of joy. What is most rewarding about your job and what makes it worthwhile? Tell us something about yourself that people might not readily know. Without doubt, the privilege of working for our girls. It is both rewarding and an enormous responsibility but one that makes my job extremely worthwhile. I celebrate my 20th year of teaching this month! The people I have around me are also an extremely rewarding aspect to my role as Head of Junior School. To have the opportunity to work with, and lead such a professional, dedicated and compassionate staff group who truly hold each girl at the centre of all they do is very important. In my role, I have the wonderful opportunity to join and work with our Leadership Team, whose expertise is vast and from whom I will continue to learn from and with. On a personal note, I have been married to Dennis for nearly 20 years and am the mother to two gorgeous children, Jack, 16 and Hallie, 14 and our family have two dogs, a cat and two horses. I also play the piano and violin. The Wilderness Rowing Club hosted the last of this season’s School Super Series Regatta at West Lakes on a beautiful summer’s day on Saturday 27 February 2016. The Wilderness marquee was a sea of blue and white on the lawn area in front of the Rowing SA boat shed with a large contingent of family and friends cheering on our crews. Wilderness was represented by: the First VIII; Second VIII; Year 9/10 A quad scull; School Girls’ Year 8/9 A, B, C, D and E quad sculls; and a new initiative of rowing that has been well supported is the introduction of a Year 7/8 category in which Wilderness fielded five very enthusiastic crews in the A, B, C, D and E categories. All guests and families enjoyed the day and the committee was particularly pleased to welcome Mrs Danvers to lead in the christening of the latest addition to the School’s fleet; a brand new Sykes single scull the Tremaine-White christened by Penny White and her daughters Emily and Olivia Tremaine. The Tremaine-White is the first boat to recognise a family of multi-generational rowers at Wilderness, with Penny Tremaine (nee White) rowing at Wilderness in 1987 and her daughters Emily Tremaine, and Olivia Tremaine both rowing with distinction at Wilderness in recent years. The regatta also served as the Rowing Club’s major fundraiser and the committee is very grateful to the many Wilderness families and friends who supported the event through sponsorship and donations. In particular we would like to thank and recognise: • Truck Dealers Australia (Rob and Renae Hayward). • Direct Home Timber and Hardware (Mark and Jenny Pickard). • C&S DeVito Vineyards (Chris and Shane DeVito). • E.S.Wigg & Son (Tom and Noodles Davidson). • Ben and Jo Wilson. • Vicki and Stefan Mavrakis. Special thanks to David and Melissa Walsh for sponsoring all of the medals for the regatta. The Wilderness Rowing Club is already a strong community and the regatta day took this to another level. Families and friends all assisted to make the regatta a huge success. It was great to see so many Boarding House families travel from all over the state for the regatta. To ensure the regatta’s success, our volunteers drove the official’s boats, judged, recorded and commentated. The parents not only volunteered their time to support their daughters, they also experienced what it takes to run the rowing regatta! While the regatta was a team effort, I would especially like to thank: • Past rowing parents, Ian McBryde and Wayne Chadwick for the entertaining commentary of the races. • David Nery, Stefan Mavrakis, Rob Hayward for a fantastic job of managing the car park, putting up tents and running boat holders up and down the lake. • Sam Hodge who photographed all the winners and the boat christening. • Alison Caddey (returned committee member). • All families for bringing along plates of food for the guests. (Special thanks to Steph and Brett Heaven - The Caterers) • Pimms donated by the Mavrakis and Nery families. • Families who donated raffle/silent auction prizes. Families – Baggio, Cobby, Craig, George, Gouskos, Krix, Matthews, Roberts, Roos, Ross, Shearer. • The Student Foundation who volunteered for the day All of this would not be possible without the extremely hard-working committee led by Cathy Ross managing the event, and Vicki Nery organising all the volunteers for the day. The fantastic food and refreshments were well organised by Meredith Thomas and assisted by Sharon Bain (past committee member). Sam Elfenbein managed an amazing raffle and silent auction and Noodles Davidson excelled as the Sponsorship Manager. The quad consisting of Danae Mavrakis, Myah George, Victoria Moularadellis, Neve Payze, and Malena Mavrakis, rowed gallantly in the Under 17 Quad division with them finishing third in the D final of the School Girls’ Quad. With twenty-six clubs, schools and SIS/SAS crews competing in the Under 17 Quad and twenty-eight schools, mostly from the elite private schools of the eastern states, competition was like no other and the girls rowed with determination to race against their own measures beating their personal best times on more than one occasion. Our Wilderness Senior Sophia Nery also took on a big challenge, racing in Under 21 Women’s Lightweight Sculls, Under 19 Double Sculls, with Torrens Rowing Club school girl Gemma Vink, and School Girls’ Single Scull. 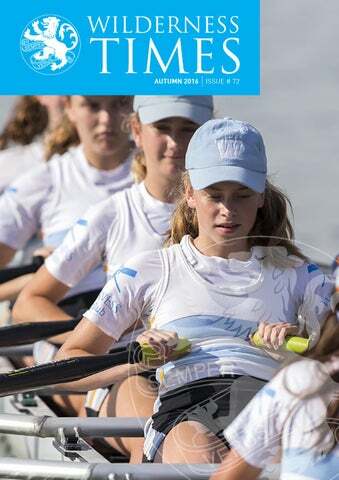 With twentysix entries in the Lightweight Single and Double Scull (the lightweight single race included people a number of years older than her) and then thirty in the School Girls’ Single, it was going to be a tough run for Sophia. Sculling was also going to take its toll as the racing progressed during the week, with her forearms starting to cramp and eventually strains becoming more debilitating as racing progressed. However, Sophia, to her credit, finished off all her racing for the week. JUNIOR SWIMMING CARNIVAL There are many opportunities in school sport for Wilderness girls to test themselves, have fun while contributing towards the team spirit of their House, try something new, develop confidence and resilience, and for some, to step out of their comfort zone with the support of their friends and family cheering them on from the sidelines. One such opportunity for the girls of the Junior School is the Swimming Carnival. On Wednesday 2 March, the Adelaide Aquatic Centre was filled with colour as the Junior School Years 3 to 6 Swimming Carnival took place. With girls swimming in their House caps giving others in their House the opportunity to cheer them on, the atmosphere was filled with excitement. Congratulations to all girls, in particular the Year 3s who attended for the first time and channelled their nervous energy into some great performances. SIDE BY SIDE For 132 years, Wilderness School has been a community bound together by family, friendship and hope for our girls. We have worked together, side by side, to develop in our young women the self-confidence, determination, desire and resilience to pursue all the personal and professional opportunities the world has to offer. Side by Side is a Wilderness initiative in which some of our parents share with you their hopes and dreams for their daughters in a series of interviews. Each of these insightful, poignant and honest interviews capture, with eloquence, the shared visions we have for each and every Wilderness girl. The interviews can be viewed at http://www.wilderness.com.au/side-by-side Follow Wilderness on Facebook to view each of these heartfelt interviews by parents released each month. Side by Side #1 The first in this remarkable series of interviews. Amanda’s dream for her daughter to be a confident and adventurous learner is one that all of our parents will respond to. Amanda talks about her wish to give her daughter the freedom to make choices, and her desire to see genuine and meaningful equality in the workplace. Side by Side #2 Nick’s love for his family and the land is palpable as he lets us glimpse into his life as a father and farmer. Speaking with tenderness about the importance of strong family bonds and resilience as a key to meeting life’s challenges, we can empathise with Nick as he recounts sending his daughter to her first day as a boarder. The excitement of watching girls grow in the face of new challenges softens any sadness felt as they leave the family home to be embraced by their Wilderness home. Side by Side #3 Shanti’s call to “lean in at just the right angle” is enlightening. It is to encourage girls to live a true and courageous life - to ensure they understand the need to consider diverse points of view and complexities in life but to also ensure they conduct themselves with confidence, dignity and pride. OPENING THE WILDERNESS ARCHIVES The Wilderness Memorial Hall was opened in 1952 as a memorial to Old Scholars who had served Australia in WWI and WWII. Brass plaques commemorating their service are still displayed in the north-eastern entrance. The names listed on the WWI plaque are mostly, but not entirely, those of men. In those days Wilderness had little boys in the Junior Primary School up until Year 3, so it’s mostly to them that this building is a memorial. For 64 years the dear old Hall has supported a huge range of educational activities, most of which it was never exactly intended for. In order to appreciate what the conversion of the building into the Newman Theatre has actually meant, it is worthwhile to briefly describe a few examples of where we have come from, particularly from a Drama point of view. MULTI MEDIA FILM NIGHT Our students are members of the digital generation, living in an interactive visual world. At Wilderness we encourage our students to effectively create and publish original digital products and to communicate effectively using visual media. Through the Multi Media course, the girls develop film production skills, with an understanding of cinematography, screenwriting, storyboarding, shooting and editing. They create their own short films that communicate, inspire and entertain. Multi Media is a new subject at Wilderness and is part of the STEM course. In our first year we made over 30 films, won the Adelaide Kids Film Festival Best Senior Documentary category with ‘Alright on the Night’ and two films ‘Look up’ and ‘Cliffhanger’ were selected for Little Big Shots which is an International Film Festival. LIGHTS, CAMERA, ACTION! Victoria Moularadellis and Ashleigh De Silva are two of three successful South Australian student applicants to attend the annual Giffoni International Film Festival in southern Italy from 15-24 July. The Giffoni International Film Festival is the largest children’s film festival in the world. Over 2000 children attend the festival from 39 countries around the world and it attracts hundreds of filmmakers, directors, producers and actors. This 44-year-old festival has had a great impact in the history of entertainment and culture. The students watch all the competitive films and participate in planned activities including meetings with directors and film celebrities. They will be a part of an International Jury, composed of teenagers from all over the world who will award the best feature film. Jayne Kelly is chaperoning the students and the girls will be immersed in the Italian culture as they are hosted with local families whose children are also attending the festival. speaker. Liz shared her past journey through the education system and her positive first impressions of Wilderness School. During the meeting Ian Denbigh retired as President, being re-elected as a committee member whilst retaining the role of Friends of Music representative. We sincerely thank Ian for his outstanding contribution as President. We farewelled Mark Osborne (Treasurer), Sorna Nachiappan, Helen Gilbert and Alison Greenslade; we extend our gratitude to them for their dedicated service. Other committee changes included Karen Gough elected President, John Montague Treasurer, and Meg Ryan re-elected as Secretary. Five existing members were re-elected and two new members – Jane Landers and Sally Hood welcomed. At a subsequent committee meeting, Gary Holzer was elected as VicePresident. REUNIONS WELCOME TO NEW OLD SCHOLARS The Wilderness Café Plaza proved to be a fabulous venue for the Welcome to New Old Scholars as the Old Scholars’ Committee provided wonderful wine, soft drink, juices and delicious canapés prepared by Olivia Stoeckel, for all to share from the Café. While there were many of the 2015 cohort unable to attend due to interstate study or on a GAP year, those that were there enjoyed picture-perfect weather as they were joined by Principal Jane Danvers and staff as they met up with friends they had not seen since last year. It was an opportunity to catch up on new careers and studies. The new Old Scholars who attended were presented with their Life Member certificates as we look forward to seeing them at many events in the future. We are fortunate that with the impeccable organisation of Old Scholar Chris Collette, Western Australia hold two reunion events each year. With 18 Old Scholars from pre’48 visiting the School for Morning Tea, you know it is going to be an amazing trip down memory lane. One Old Scholar made the trip all the way from Albury, Victoria to join us for the event. On Saturday 12 March, the Old Scholar girls based in WA had a brilliant afternoon with a High Tea at the University of WA Club. It was lovely to welcome some new Old Scholars who have recently moved to WA. Divine food and bubbles were served across the afternoon. The next event will be held in September. The women had some wonderful stories to share about their Wilderness days over cups of coffee and tea and delicious cake from the Wilderness Café. As the generations continue, some of these women now have granddaughters at Wilderness School. School Principal Jane Danvers, joined our guests to discuss the last 12 months and the incredible positive impact that the redevelopment has already had this Term. The Old Scholars also had the opportunity to participate in a tour of our new Archive Room in Browns’ House leaving everyone to feel blessed and proud to be a Wilderness girl. The morning was filled with sentiment and thoroughly enjoyed by everyone there. Picture perfect, sunny weather greeted 18 Old Scholars for the Queensland Reunion. Held at the Chelsea Bistro in Brisbane with the assistance of Old Scholar Lucy Fogerty, everyone in attendance had a brilliant afternoon. It was wonderful to enjoy the company of a diverse and successful group of women. Each year the Wilderness Old Scholars’ Association hold two Coffee Mornings for Old Scholar parents who have daughters at Wilderness. The first was held on a sunny Wednesday morning in Term 1 on the Wilderness Café Plaza. It is a fabulous way to start the day. The next morning will be held on Friday 18 November. If you are an Old Scholar parent, please put it in your diary. Thank you to everyone who came along and looking forward to another great event next year! WILDERNESS OLD SCHOLARS WHERE ARE THEY NOW? We are delighted to announce that Molly Goodman has been selected in the 2016 Australian Olympic Rowing Squad that will compete at the 2016 World Rowing Cups 2 and 3 in Lucerne, Switzerland on 22-24 May. Once the boat qualifies, Molly will row for her country at the 2016 Olympic Games in Rio. We wish Molly and her crew the best of luck. Judith Deland recently won her section of the ANZANG photographic competition http://www.anzang.samuseum.sa.gov. au. She was one of only two female photographers to be awarded a prize out of 22 prize winners. Judith will continue to shoot for the environment and causes dear to her heart and advises any young woman with an interest in the area of photography not to be shy of following it as a positive life choice. Old Scholar and best-selling fiction author Fiona McCallum has just released her eighth novel. Standing Strong is a sequel to Wattle Creek and is about community spirit and a small town coming together to fight a David and Goliath battle. The book is available in print, eBook (Aust/NZ) and audio (worldwide). Emily Denbigh is one of a select group of Australian university students chosen to participate in the Uni-Capitol Washington Internship Program held from January to March. While working in Washington DC, Emily had the opportunity to develop her knowledge of American politics while gaining valuable work experience that will no doubt enrich her Bachelor’s degree in Law and Arts, with a major in Development Studies and a minor in French. It is always pleasing to see Wilderness graduates working as active global citizens and chasing their dreams. After studying Fashion Design at TAFE, Jo McGovern launched her own fashion line ‘O, Speak’ with a fellow student she met while studying. The first collection has proved to be quite successful resulting in their Autumn/Winter line being released in May.